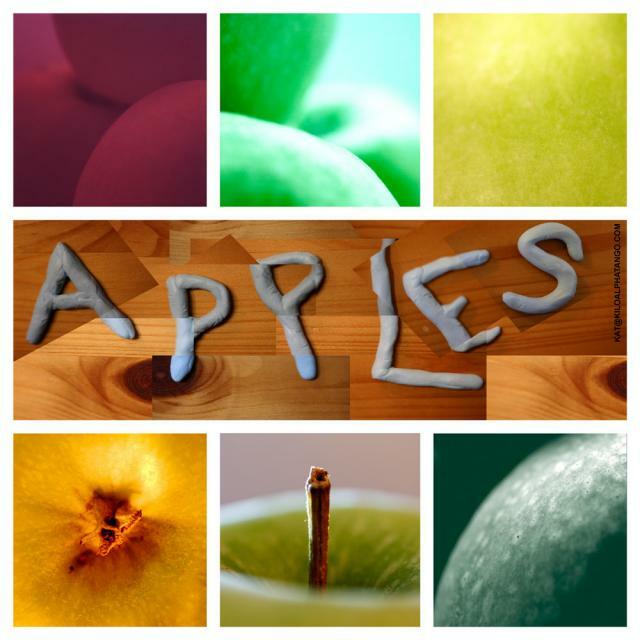 A sampler image of apples. Clockwise from top left: infrared, green filter, shot of the skin, duotone, shot of the stalk, yellow torchlight. Just a thought after already posting-- if you had the inclination. Its something I have always thought of trying but don't have the patience or a good enough camera. Set up an apple in a plate and take a shot of it, marking where the camera should sit and the exposure times etc. Go away for one, two or three days and take another shot from the same position. Repeat at intervals until you can't bear the putrid apple any longer. Load the pictures into frames in a video editing program and replay to show a speeded up decomposition. If you don't like the idea of an apple decomposing you could do the same thing with a plant that is starting to flower. Changing the subject, I suppose I should get around to posting a picture of the sampler you mentioned in your original post. Also bought a book ( Contemporary Glass Enameling by Kay Bain Weiner) in the last few days from Creative Glass Guild at 16 Whitehouse Street, Bedminster. They tell me that they are near Temple Mead Station. You might look them up when next you are in the area. Interesting thought with the apple. I'm not sure I would like to have a slowly decomposing apple in the flat. I'd try it in the garden if I had one. It feels like something where you really need to have the tripod / method of placing the camera fixed as the shots would have to be taken over a very long period. The plant idea is a god compromise though as you can keep the plant indoors and it won't smell! I wonder what other things might change drastically enough to enable you to get the shots all in one or two days? I must admit that my first thought was a chunk of icecream slowly melting down. You could quickly amass a lot of shots though for only a short period of 'film'. TV is 24/25 frames per second (fps). Web video is typically 15 fps. I wonder how low you could get away with before it just looks too much like just a random collection of stills. You'd want it to reflect something which happened over a reasonable amount of time otherwise people would immediately think it was just a digital video fast forwarded and so less impressive. I wonder what the fps of amateur stop motion films are? It just occurred to me that instead of the tack you could have used a miniature picture of a whole apple and duplicated it in the form of the word. The bottom right picture reminded me somewhat of a planet shot and you could add a background representing stars, comet dust, rings or something similar. You have manipulated the background to the middle row so could get away with a further manipulation. The first and second shots on the top row are a bit similar in shape. Since your bottom row shows parts of apples, perhaps you could have included an inside shot, either core, apple bitten into etc. This is not to say that I don't like what you have already done, just that it is easier to suggest amendments to something when the initial work has already been done. But of course these suggestions reflect my personality, weird as it is and yours is uniquely yours. Thank you for the comments! I never really noticed that first two images on the top are similar. I was mainly looking at what colours they were and (obviously) ignoring the image. The middle row is not so much a manipulation as just layering different shots over one another. I deliberately tried to get them at different angles and exposures to make it more lively.